The History Girls: New Georgette Heyer stories! We could almost say that our September guest is posthumous! 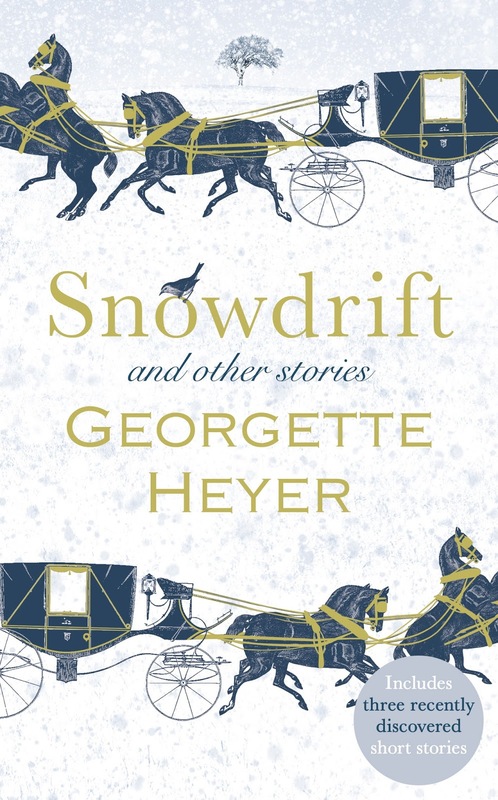 The late Georgette Heyer (1902-1974) is very popular with many History Girls and our Followers but we are aware that she is sometimes considered a bit of a Marmite author. So if you are not a fan, look away now. If you are we have a real treat for you. Snowdrift has just been published, a collection of short stories, including three previously unpublished tales. These were found by our actual guest Jennifer Kloester, who has written an introduction. We asked Jennifer to tell us about her researches. Tell us about the re-discovery of the three new short stories. What were your feelings on realising that they hadn’t been read since 1939? It was an incredible research experience finding new Heyer short stories, most of which had not been seen since their publication in the 1920s and 1930s. I will never forget being in the Rare Books and Music Reading Room at the British Library and turning the page of Sovereign magazine and seeing Georgette Heyer's beneath a new short story title. I literally had to stop myself from jumping up and down with excitement. I spent weeks searching over three thousand individual magazines at the Newspaper Library at Colindale. Of the nine stories I eventually found several were contemporary romances but the four were historical. Two of those historical shorts: 'Runaway Match' and 'Incident on the Bath Road' have now been included in the new anthology, Snowdrift and Other Stories and the third one, 'Pursuit' I found in a delightful publication, The Queen's Book of the Red Cross. Every new story was like discovering gold. I love research and gain a tremendous sense of satisfaction from searching archives and finding new details about the past. Researching Georgette Heyer's life and writing had been hugely rewarding and I feel immensely privileged to have spent so many years (since 1999) pursuing the reclusive Miss Heyer. How do you think that they add to her existing body of work? These short stories were written in the 1930s - 1936 and 1939 to be exact - when Heyer had only written her first couple of Regency novels. 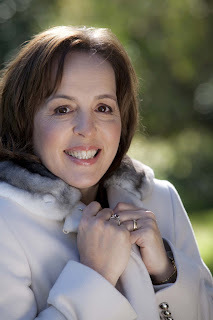 In 'Runaway Match, 'Incident on the Bath Road' and 'Pursuit', Heyer readers will find hints of books to come. Heyer often used her short stories as starting points for her later novels and I think that's really interesting in terms of her development as a writer. Heyer has iconic status as a historical novelist and created the hugely popular Regency genre and these short stories are part of that early evolution. By considering them in their context I think they add a few more pieces to our growing understanding of an intensely private author. I like them all but 'Incident on the Bath Road' is my favourite of this group. Heyer draws her characters so well and there are some lovely lines in it. What do you think keeps people coming back to her books after all this time? She is the consummate storyteller and, as we see time and time again in books, movies and on television, a good story always sells. Heyer is also masterful in depicting character. Her characters are so memorable and not only her primary but her secondary characters are three-dimensional, flesh-and-blood creations. Her plots are brilliantly crafted and no one does imbroglio endings like Heyer. Best of all she makes you laugh out loud with her wonderful dialogue and memorable scenes. You only have to think of moments from her novels like Freddy and Nemesis or Claude and Polyphant or Lord Dolphington (Heyer fans will know what I mean) and you'll be smiling. It has often been said that Georgette Heyer is one of the great re-reads and I think that's absolutely true. She is the author you turn to when life is hard, or sickness prevails or you just want to escape. A.S. Byatt called Heyer's novels 'Honourable Escape' and I think that's a very apt description. You've written two non-fiction books (a biog of GH and one about the regency world in which many of her books are set) and two novels. Has your view of GH's writing changed since you started writing/ writing novels? Writing my own novels has made me appreciate Heyer's achievements even more. She wrote with such extraordinary facility - sometimes penning an entire book in a couple of months. She wrote Faro's Daughter in eight weeks, straight to the typewriter and single-spaced on account of the wartime paper shortage. I envy her the ease with which she devised her plots and created her characters though she always said the writing was hard! I have also gained a deeper understanding of her inner struggles - her yearning for recognition and for wanting to be told that her novels were good. She was so often self-deprecating about her work even though she loved writing books and deep down believed they were worthwhile. Recently, I've been re-reading her novels from the 1950s and have been struck anew by the brilliance of their structure. I don't think I'd ever fully appreciated the cleverness of her plots until I'd written my own novels. I'd love to write as well as Heyer. Such a hard question because I love so many of her female characters. Hester Theale from Sprig Muslin always springs to mind because she is so well-drawn and has real depth. I adore Mary Challoner from Devil's Cub because she is Heyer's first anti-heroine and I adore the scene she's on the ship and tells Vidal she's about to throw up. Jenny Chawleigh from A Civil Contract is superbly written and she evokes great sympathy. Then there's Venetia who is undoubtedly one of Heyer's finest creations. But perhaps my top pick is Sarah Thane from The Talisman Ring because I just love her scenes with Sir Tristram and she's so feisty and cool-headed. I'm about to finish writing my latest novel. This one's contemporary fiction but with a strong Regency element. I've had great fun writing it and I'm quite excited by the story. The Regency bits have been a joy to write - there's something about the period that I just love. I suspect that's because of my Jane Austen/Georgette Heyer addiction! The novel also has a supernatural theme which I've really enjoyed writing. I'm hoping it will be out next year. I'll keep you posted! Thanks, Jennifer! Mary Challoner is my favourite heroine too. You can win a copy of this gorgeously-produced book in our competition tomorrow and enter the world of Nonesuches and Nonpareils, Bucks and Corinthians with Roman profiles, impossibly complicated neckcloths and multi-caped riding cloaks. Your destination will be Bath, London or Gretna Green and the ride is bound to be enjoyable. I'm surprised Ms Kloester is taking such credit for "finding" these stories. Nice though it will be to introduce them to a wider audience, at least two have already been published in 2001 in Mary Fahnestock's "Georgette Heyer: a Critical Retrospective". Beware of choosing Heyer for bedtime reading unless you are very strong willed. I recently lost most of a sleepless night lured on by "what happens next" in The Great Sophy. Greatly enjoyed - apart from a nasty money-lender sterotype - and felt boosted and brave enough to do almost anything afterwards. If she had just Googled Pursuit and Runaway Match she would not have had to spend all of that time in the library.